Redeeming coupons for a product you purchase has been around for quite some time. The first, at least modern use of coupons, came in 1888 when The Coca-Cola company used coupons that were handed out to get people to try their soda for free. Many people today are familiar with cutting out a paper coupon from the Sunday paper, taking it to the store and getting a few cents to a dollar off a product you want to buy. When I was a kid, I remember helping mom cut coupons out of the Sunday AND Wednesday newspapers. Back then you were lucky to get 25 cents to 50 cents off a product. Today, you don't need to go out and buy 10 of Sunday papers to get coupons. There are several websites that allow you to print these coupons at home on your printer. Coupons.com is probably the largest of these and has the widest assortment of coupons. You only need to click on a coupon, it goes into your cart and at the end you simply click to print the selected coupons. There are many other smaller sites that do the same thing and many product websites also occasionally offer a coupon you can print at home. I would say that you have to be aware of the cost of paper and ink involved with printing at home and see if the cost to print them is offset enough by the cents off you are getting. Now, my opinion of couponing may surprise you. I am not a big fan of it. 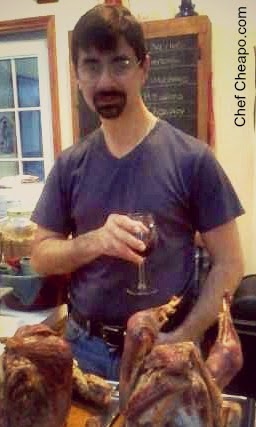 I have been doing it for a long time, but as I have gotten older and my food consumtion has changed, I find it less and less valuable. Your opinion may differ. For me, the time and effort involved with finding the coupons, cutting them out, sorting them, trying to remember to bring them and then going through them at the store is just too much effort. Also, the type of coupons that seem to be available no longer match up with the foods I eat and feed my family. By my observations, more of the food coupons today seem to be new items, overly processed and/or a slow moving items the manufacturer wants to drive more sales and less of the core items I used to use them on. We do still use coupons when we come across them for cleaning products, soaps, health and beauty aids and non edible products that we do still consume. If you do find that the items you buy are in line with the coupons out there and being offered then they are a great way to cut a few dollars off the grocery bill. Here would be my warning and I often have to stop myself from asking every coupon lady I come across at the store, “are you actually going to USE all of that product or is it you are getting a “good deal” on it and will it wind up sitting in the pantry?” If it is not something you do use or will use, it is wasted money. Today, there are many websites and blogs devoted to “couponing”. A google search will give over 8.7 MILLION sites talking about couponing. I see it as a hobby for some and a necessity for others. Many of these sites have areas to brag about how much you saved on your grocery bill and to me that makes it more like a hobby than a necessary way to save money. 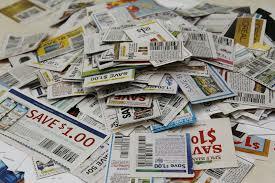 Most give great tips on how to save using coupons. Again, for me, the time and effort involved with all of the different aspects of “couponing” - getting the coupons, sorting them , checking the various stores sales for the week and trying to line them up with your available coupons, just does not equal a good return on my time to manage all of it. I have enough hobbies to keep me busy. I do check out my frequently shopped stores to see what they have on sale and I do take advantage of these items when they are on sale. For example, one store has their store brand of cheese, both shredded and blocks, on sale every month. They cost out for $3 a pound or less in either form. Even with the best coupon I have ever seen offered for brand name cheese, it will never beat this price. I find this to be true for many core items. The store brand, on sale, beats the best coupon. If you shop a store that offers double coupons, you may be lucky to get close to the sale price of the store brand but often not. Additionally, I have discovered a few years ago a different grocery store that gets the majority of my shopping dollars. That store is Aldi. I like the quality of their products and I like that they have mostly core item groceries that we buy and not a lot of overly processed foods. They also have a new competitor, name Lidl, also a German grocer and together, these 2 new stores are turning the established grocers on their heads with both the quality and everyday low prices and that is what they are saying in that industry, not my words. It is their everyday prices, when compared to the established competitor's pricing that wins the day. Pricing on essential items like a gallon of whole milk for less than $3, butter for $2 a pound, a loaf of whole wheat bread (which looks just like Arnold wide loaf) for less than $2 a loaf are examples of why I no longer spend time couponing. Why do I need to cut coupons when the everyday price is lower than all I need to do couponing to get close to the same price? I am sure that I may have ruffled a few feathers, but I have stated this is my opinion on this, yours may differ. If it works for you, then continue doing what works. 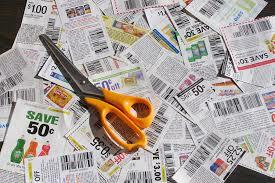 I just ask you to examine these points about using paper coupons. Is the time INVESTED worth the payoff? Are you able to buy nutritious foods with your hard earned dollars or are you filling your pantry with overly processed, low nutrition products? If you are stockpiling “good deals”, are you actually using all you are buying or is it just sitting on the shelf? I do have a differing opinion of DIGITAL COUPONS and rebates that I will put in another post. I do want to note that I have no connection to any group or organization mentioned in this post and these are my opinions and yours may differ.